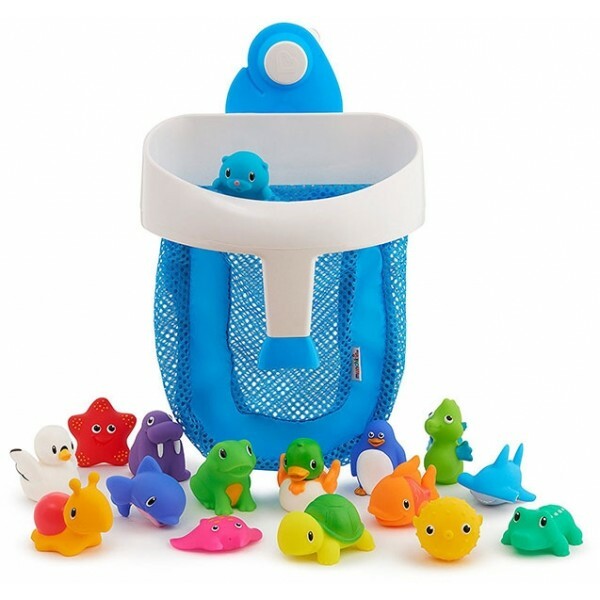 You'll love how simple it is to keep your bathroom clutter-free with the Super Scoop Bath Toy Organizer from Munchkin. 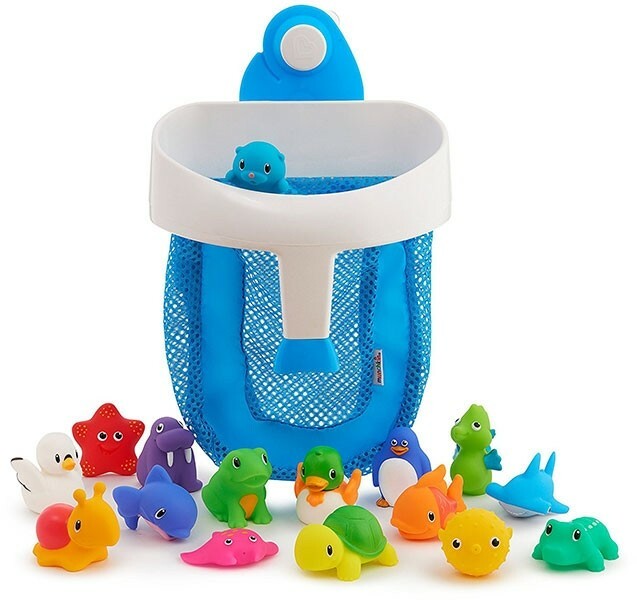 The wide mouth and handle allows for easy toy scooping after bath time, and the cute fish-shaped hook hangs securely on the bathroom wall to drain and dry, providing convenient bath toy storage, too. Just unhook the scooper from the wall and glide it across the water for quick, convenient cleanup. With plenty of room to pack the included Ocean and Lake Bath Squirts, you'll get to enjoy extra bath time fun! For more bathtime fun, visit our Tub / Bath Toy Collection.